Steps to follow when assigning benchmark assessments. If the instructions below are not followed exactly as written, Otus may not be able to display the data in a way that will be helpful to teachers, instructional leaders, building administrators, or district leaders. Assessments can be assigned to classes at the teacher's convenience. 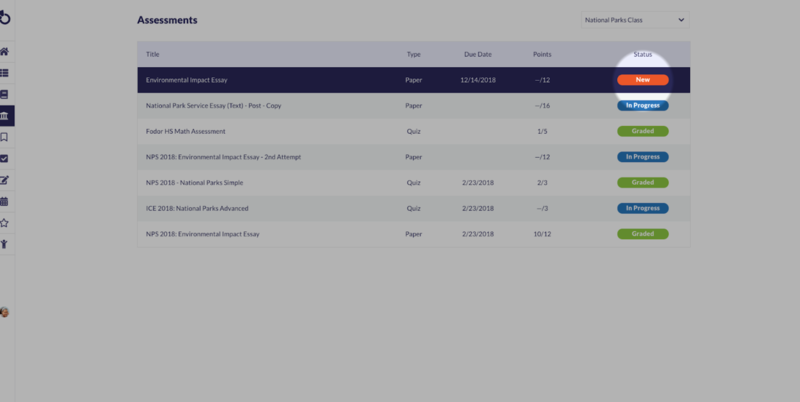 Locked (Advanced) assessments can be printed directly from the teacher's account. 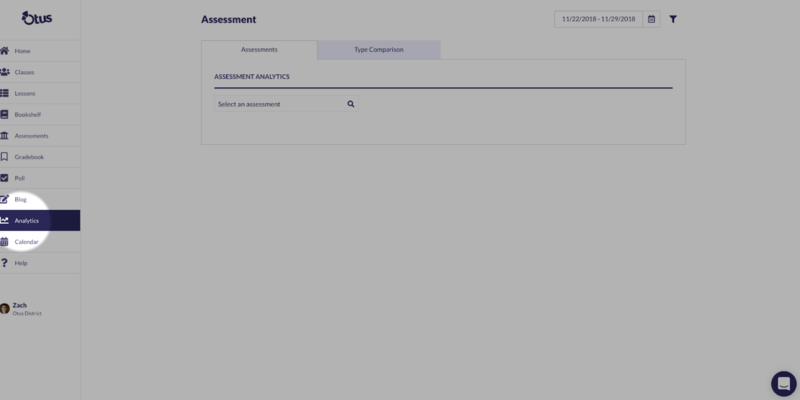 Teachers can review the assessment data within the Analytics module in their account. Administrators can review the aggregated data in Assessment Analytics and in Query Analytics (Query Analytics will be especially helpful when using data to identify students for programs). 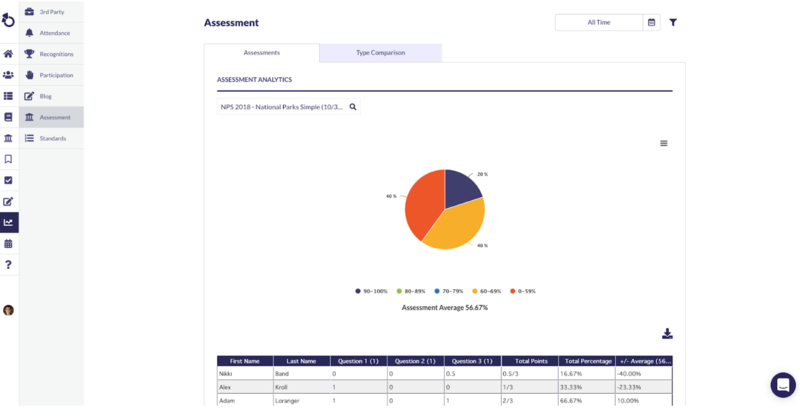 Administrators can disaggregate the individual locked assessment data by teacher . Teachers cannot edit locked assessments. Make sure your assessment is ready for sharing with your teachers. Take a look at our article about what to do before you share HERE. 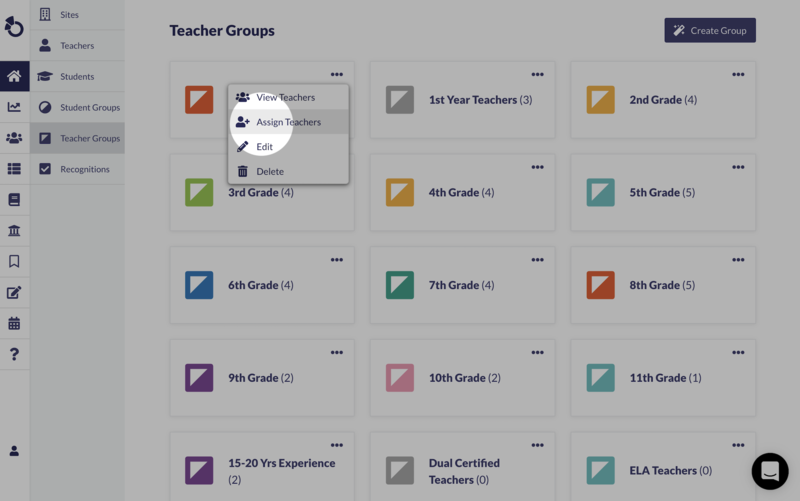 Log into your Admin Account and select Teacher Groups. While in Teacher Groups, click on the ellipsis of the group you wish to view. 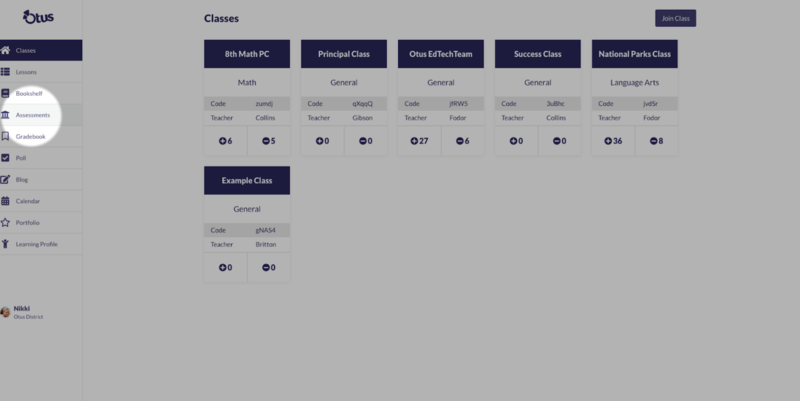 Select View Teachers to see the teachers who have been assigned to that group. 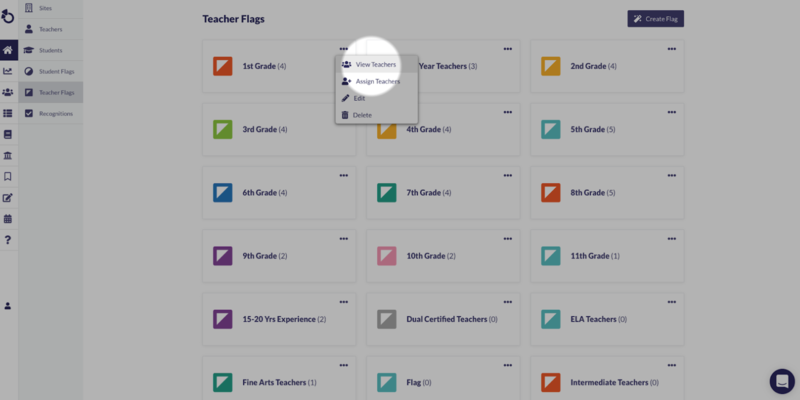 You are able to assign any missing teachers by selecting Assign Teachers. To remove a teacher from the group, select the trash icon. 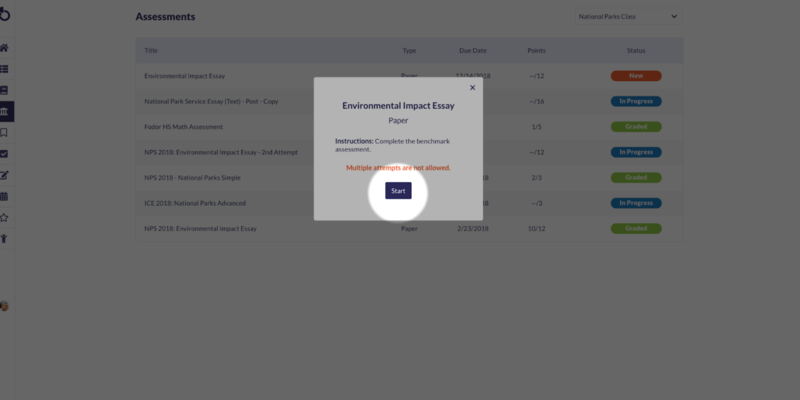 Enter the Assessments module and click the ellipsis of the assessment you wish to share. Click Send Copy. 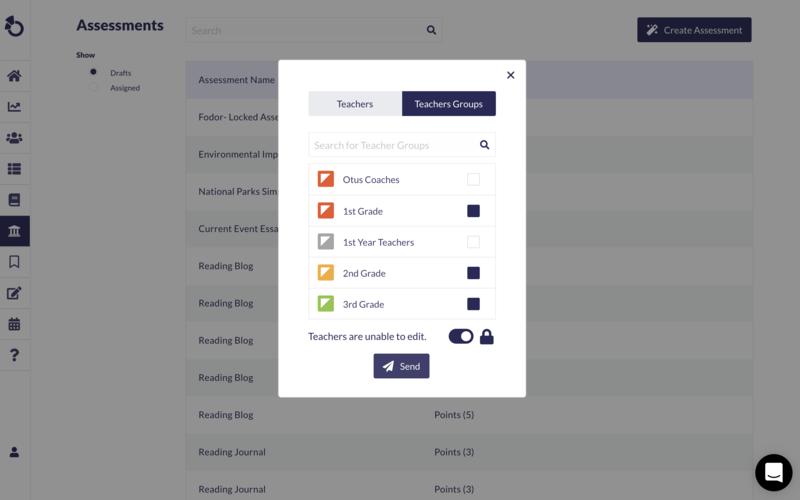 Toggle to Teacher Groups and select all of the teacher groups you wish to send the assessment to. Make certain that the Locked Icon is toggled ON, ensuring that the assessment will not be altered. You are now ready to select Send. 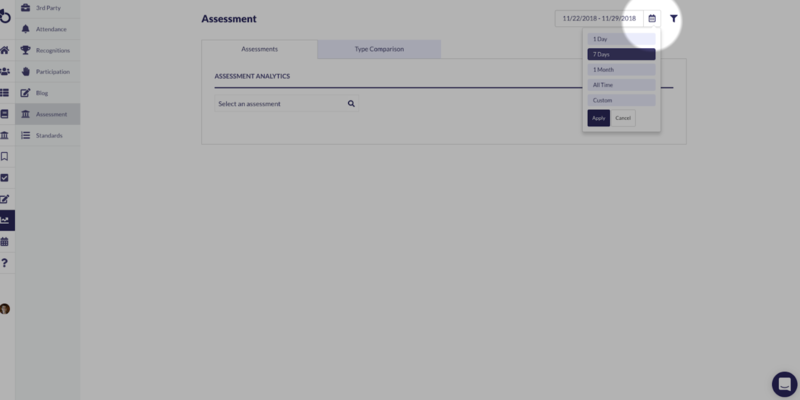 Teachers will find the locked assessment in the Drafts section of their Assessments module. After selecting Assign, teachers will be prompted to choose which classes and students they would like to assign the assessment to. After the selections are made, click Assign to complete. Students will enter their Assessments module and select the appropriate class from the drop down menu. Find the correct benchmark assessment in the list. Select the orange New button to open the assessment. To begin, the students must select Start. 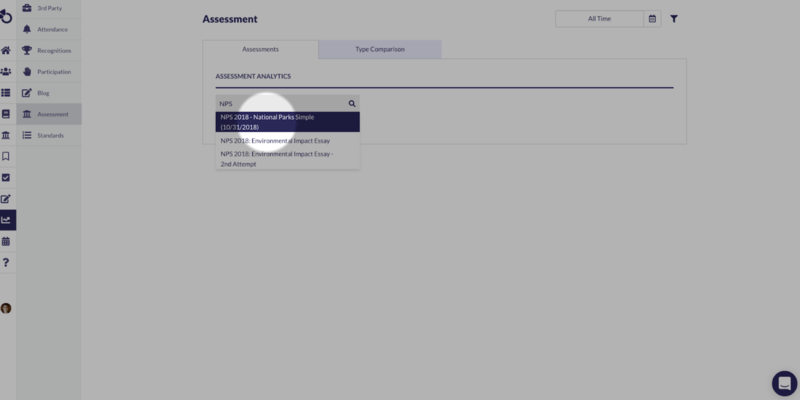 Enter the Analytics module and Select Assessments. Adjust your Date Range. The benchmark assessment must have been graded within the selected date range in order to review the data in Analytics. 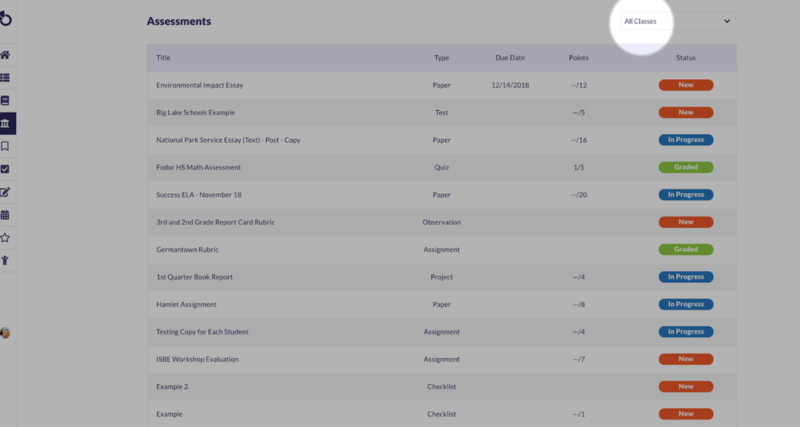 -Teachers can review assessment results only for the students in their class rosters. Teachers can disaggregate data by class, group, or student. -Administrators can review assessment results for a larger district population. Administrators can disaggregate data by site, teacher group, teacher, class, group, or student. Select the title of the benchmark assessment from the list. The pie chart displays an overall breakdown of the student population’s performance on the benchmark assessment. The pie chart is only visible for assessments that are created with the POINTS grading scale. Advanced Assessment: Select the ARROW to toggle between individual questions on the benchmark assessment. The pie chart displays the breakdown of student responses for the specific question. 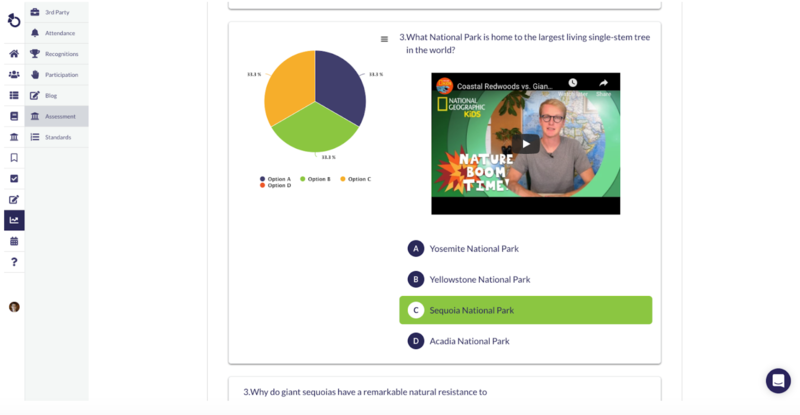 You can click any section of the pie chart to identify students who selected the response and MANAGE GROUPS. 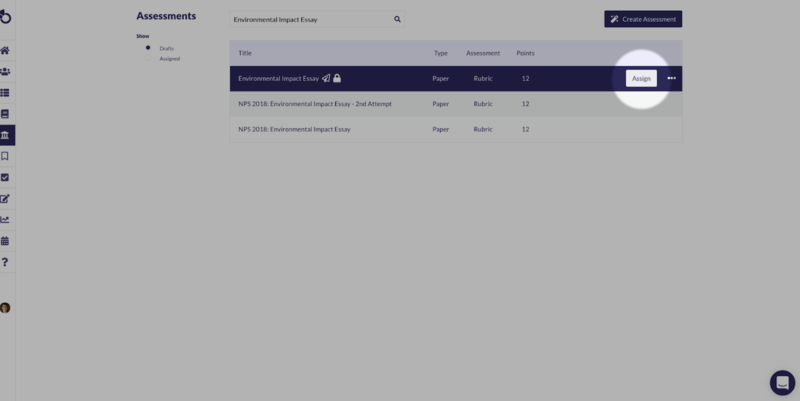 Simple Assessment: Users can view each item by scrolling down the page. The pie chart displays the breakdown of student responses for the specific question. You can click any section of the pie chart to identify students who selected the response and MANAGE GROUPS. 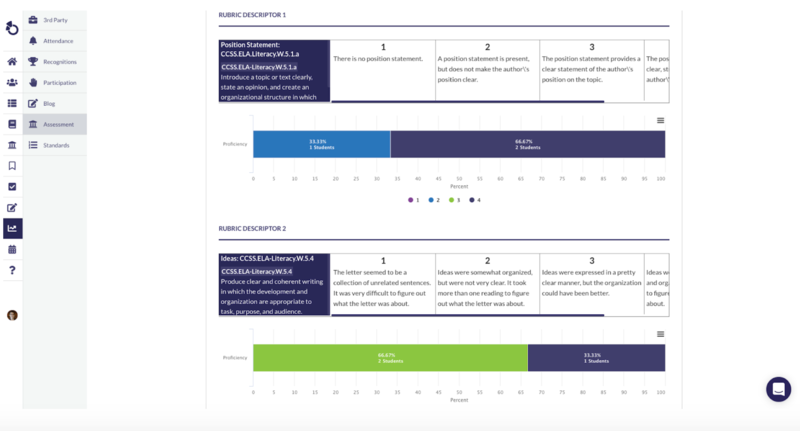 Rubric Assessment: Users can view a breakdown of student performance on each rubric descriptor. Each bar chart displays the scale and criterion for the individual descriptor. You can click any section of the bar chart to identify students who earned the scale value and MANAGE GROUPS. 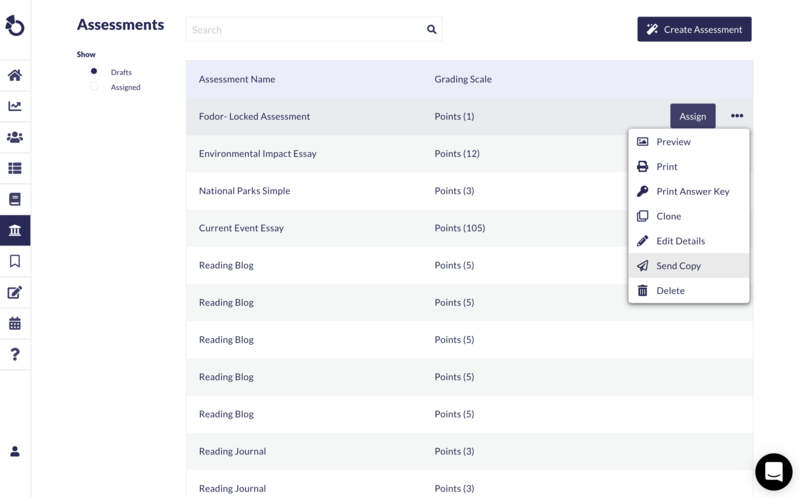 If the instructions above are not followed exactly as written, Otus may not be able to display the data in a way that will be helpful to teachers, instructional leaders, building administrators, or district leaders. For more information about benchmark analytics, click on the link below!